The Dragon's Fury was a militant group formed within the Republic of the Sphere who desired the return of all the former Draconis Combine worlds within the Republic to their ancestral ruler. They began operations in September 3132. While the Combine initially kept the Dragon's Fury at arm's length, with Coordinator Vincent Kurita giving little public acknowledgement to their efforts, the Republic Armed Forces speculated that the Coordinator was waiting for Tormark to perform some great act to demonstrate her fealty to the Dragon before publicly accepting the Fury. Despite the lack of acknowledgement the Fury were very active in the first two years after Gray Monday, primarily concentrating on systems within Prefectures I, II and III of the Republic that had once been Combine worlds. Operating as a three-regiment brigade by the end of 3134, the Fury conquered a number of systems with relatively little bloodshed amongst the civilian population, although it was noted that the regiment known as the Brotherhood was displaying a greater degree of hostility towards Republic citizens of Combine descent - a trend that was also apparent, although less frequent, in the other elements of the Fury. After forming the core of the Fury from her former Academy cadets, Tormark was able to recruit the Amaterasu as a complete unit; ostensibly an elite independent unit within the RAF, the Amaterasu had been sidelined after the Capellan Crusades. Tormark had trained as a member of the Amaterasu in the 3120s, and after Gray Monday she actively exploited the resentment members of the Amaterasu felt over their command being kept on the sidelines as part of her efforts to recruit them to her banner. Once the Amaterasu defected to the Fury, Tormark restructured the unit, reorganizing it until it was composed solely of female personnel. The third element of the Fury actively recruited by Tormark, the contingent known as the Brotherhood, were the product of clever manipulation and negotiation on Katana's part, conducted across a dozen worlds. Appealing to adventurers, peasants and local militia forces through shared Kuritan heritage, Katana created fictitious unit histories to link individuals to glorious events from the history of the Combine and thereby persuaded the various disparate elements to work together for her against the Republic. The Dragon's Fury waged a bloody campaign to capture the former Combine worlds with the goal to rebuild the Dieron Military District. They would have succeeded had they not been opposed by the Northwind Highlanders and III Principes Guards. They are known to have hit New Rhodes III and Murchison. The Dragon's Fury later coordinated their assaults into the newly-reestablished Dieron Military District with the efforts of a Galaxy of troops from Clan Nova Cat. Tormark's father, Akira Tormark, had connections with the Combine intelligence service known as the Order of Five Pillars, and when he defected to the Republic he brought a cell of O5P operatives with him, disguised as servants and retainers. The Republic failed to spot this at the time, and after Gray Monday Katana used her father's operatives and their descendants to create a unit within the Fury named after the O5P. Used for scouting, reconnaissance and possibly active combat, the resulting battalion kept itself largely isolated from interactions with outsiders. Early in their history, Dragon's Fury came into conflict with DCMS commands. Several times DCMS units attacked them. These problems were eliminated only after Yori Kurita assumed command of a Dragon's Fury unit. The Dragon's Fury was eventually absorbed into the Draconis Combine during late 3135, their leader being made Warlord of Dieron by decree of Coordinator Vincent Kurita. The close ties of the Dragon's Fury to Clan Nova Cat later caused problems when the Nova Cats rebelled against the Combine in 3141. Prior to their integration into the DCMS, Dragon's Fury attacked or raided numerous worlds, including: Addicks (November 3132), Mallory's World (November 3132), Dieron (September 3132), Vega (March 3133), and Ronel. 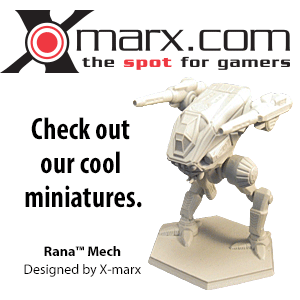 On October 22, 3133 they landed on Irian, facing off against elements of the Swordsworn faction. The Fury inflicted heavy losses on the Swordsworn and forced them to retreat. The Fury had assaulted the IrTech facility on the world, but was driven off after inflicting heavy losses on the defenders. They later teamed up with the IrTech Security detachment to face the Steel Wolves. Two Steel Wolf attacks were defeated. The Fury then assaulted the Stormhammers after they landed on Irian. This assault was sufficient to force the 'Hammers to retreat without ever having seen the IrTech factory. Three days after that the Fury faced a combined Spirit Cats/Steel Wolf assault. Although the Fury fought the Clan forces to a standstill, it took the arrival of the Bounty Hunter to break the stalemate. After the Hunter defeated both Clan leaders, the Cats and Wolves left Irian. The Fury stood down to make repairs, leaving them vulnerable to an attack by Bannson's Raiders. The Raiders focused on inflicting damage on the IrTech factories, and though the Fury eventually stopped all the Raiders, the factories took heavy damage. By 3134 found the Fury still garrisoning Irian. 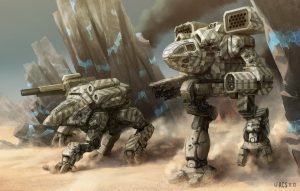 Most of the Fury was used off-world at this time; the few remaining defenders from the Fury were integrated into a single cohesive command with the Irian Standing Guard and IrTech Security. The Amaterasu are skilled at one-on-one duels. If a pilot fights the same enemy unit for three consecutive turns, it gains a -1 to-hit modifier against that unit. If the Amarterasu warrior breaks off, attacks multiple targets, or attacks a different target, the modifier is lost. They will not engage crippled or retreating enemies unless the enemy attacks them first. When determining Piloting skills, add +2 to the roll. The O5P adepts are able to gain a -1 to-hit modifier on an Aimed Shot at a designated enemy if they nominate that enemy at the beginning of the turn, do not attack any other unit, move no faster than Walking/Crusing speed and maintain their line of sight to that enemy unit for the entire turn. If line of sight is broken, the warrior attacks a different target, or after the attack is completed, the bonus is lost. The Brotherhood can summon auxiliary forces when on a Republic world. These auxiliaries will never exceed the number of Brotherhood units on the field, but the Brotherhood player rolls 3D6 to see how many units arrive. Up to one third of these units may be modified civilian equipment including IndustrialMechs, but the remaining two thirds will be foot infantry platoons. Determine skill ratings randomly as normal but the roll will have a -1 modifier. ↑ 2.0 2.1 2.2 2.3 2.4 Era Digest: Dark Age, p. 14-15, "Dragon's Fury"
↑ 12.0 12.1 12.2 12.3 12.4 12.5 12.6 12.7 Era Digest: Dark Age, p. 10, "Dark Age Timeline"
This page was last edited on 4 April 2019, at 15:43.